How Does New Healthcare Plan Affect Rehab in the US? How Does New Health Care Bill Affect Rehab in the US? Throughout his presidential campaign, Donald Trump kept promising he would repeal Obamacare and implement a new and improved health care bill. After November election he became the 45th President of the US and you already know what came next – series of scandalous decisions and bans. Not only that, he also made it his mission to repeal all crucial decisions from Obama administration. 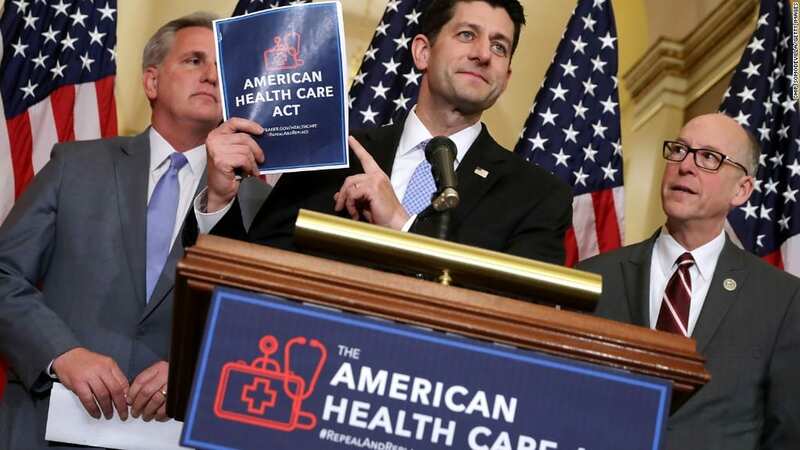 After the failed first attempt to knock down Obamacare, House Republicans passed a new health care bill whose goal is to replace Obama’s medical care act with the new one. Although Trump and his team want us to believe they’re working on something huge, the new healthcare plan puts women, elderly, and others in unfavorable position. But, what about rehabilitation? How does new plan affect rehab in the US? We have the answers below. In order to analyze the impact of new healthcare plan on rehabilitation, it is important to mention how Obamacare dealt with this subject. According to Obamacare Facts, mental health including substance abuse disorders are covered on all non-grandfathered plans as a part of ten essential health benefits. This is one of many instances when Obamacare proved to be revolutionary. In past, rehab or seeking professional help to fight substance abuse was thought to be a moral defect. Basically, if you had a substance abuse problem you were categorized as a bad person and nothing else. That is why insurance providers denied coverage for addiction treatment and rehabilitation. Obamacare was different! Instead of categorizing individuals with substance abuse disorder as “bad people” who should pay their own treatment, the Affordable Care Act classified them as mental health problems. As a result, it demanded that all health insurance providers must cover mental health and substance abuse treatments with equal coverage just like any other condition or disease. Services for people seeking addiction treatment under Obamacare included counseling and psychotherapy as well as mental and behavioral health inpatient services and substance use disorder treatment. Under Obamacare, rehab was covered but they were often subjected to cost sharing. About 1.3 million people receive treatment for mental health and substance abuse disorders under the Medicaid expansion. Back in October 2016 when he was just a presidential candidate, Donald Trump pledged to strengthen prevention options and offered help to people struggling with addiction. This gave a glimpse of hope to individuals who are struggling with substance abuse and their families that they will be able to get the help they need. He also called for the FDA to speed up the approval process of abuse-deterrent painkillers while his opponent, Hillary Clinton, said she would expand access to the addiction treatment, promote the usage of overdose reversal therapy, and require healthcare providers to undergo a necessary training to deal with substance abuse more efficiently. In just a short period of time, a lot has changed. The current healthcare plan backed by the US President aims to terminate Obamacare requirement that addiction and mental health problems have to be covered by Medicaid. The new plan leaves the question up to states and their budgets to decide whether they will cover these services or not. Advocates describe it as a step in the wrong direction. The repeal of Obamacare takes away the most vital coverage for drug addiction treatment during the time of “crisis” when the rates of opiate overdoses are increasing throughout the country. Joshua Sharfstein, associate dean at Johns Hopkins Bloomberg School of Public Health says that the new healthcare plan is a major retreat from the effort to save lives in the opiate epidemic. The decision is not overly practical because it puts the most vulnerable substance abusers in higher risk, primarily due to constant pressure on state budgets. With the new healthcare plan, insurers are not obliged by the law to cover rehab expenses. It is easy to conclude that a lot of people wouldn’t be able to receive necessary treatment. Even though rehab of individuals with substance abuse problems is not going to be covered by the law, they will be able to purchase more comprehensive plan that provides coverage for these expenses. Also, it is of huge importance to bear in mind that the new healthcare plan does not prevent or forbid insurers from providing drug rehab coverage. Under Donald Trump’s new healthcare system, insurers are not required to do so, but they can opt to do it anyway. Consumers will have the opportunity to choose the plan that suits their needs and preferences the most. For example, if you or a family member struggle with addiction, then going for the more comprehensive plan would be a better option. What if I’m already receiving treatment for addiction? Patients who are already in rehab and are receiving treatment for substance abuse will be able to complete their rehabilitation primarily because the new healthcare bill will be fully implemented in 2020. Trump’s administration explains the bill is not set in stone and there will be negotiations and discussions to make it more beneficial for different groups of people. Of course, time will tell whether they will follow through their promise. Of course, it is a disadvantage that the major decision to grant equal coverage for mental health and substance abuse disorders will be ended. But the new plan will have positive sides too; one of them being the ability to purchase the coverage that applies to your needs without additional benefits or costs. It is not a secret that the 45th President of the United States, Donald Trump, dislikes Obamacare and wants to repeal it as soon as possible. The new healthcare plan doesn’t oblige insurers to cover mental health and addiction treatment equally as other diseases and conditions. Although they’re not forbidden to do so, it will all depend on states and their budgets. With this plan, individuals who are struggling with addiction will not be able to get rehab covered, which is not practical for those with a limited budget. On the other hand, people will have the option to go for a more comprehensive plan that covers these expenses.